Firstly I see a nice yellow colour in the glass. 13.5% alcohol, where The Latitude is 14%. Ripe fruit, peaches and light oak on the nose. Very ripe and luscious in the mouth, lipsmacking. A hint of creaminess. Not the complexity of the Latitude Chard, but freshness is the key here, with generous fruit weight on palate – not forced or thin. A very tasty quaffer. 3+. It could handle a few years sabbatical as well. Some of these 2013s are starting to shape up well.. 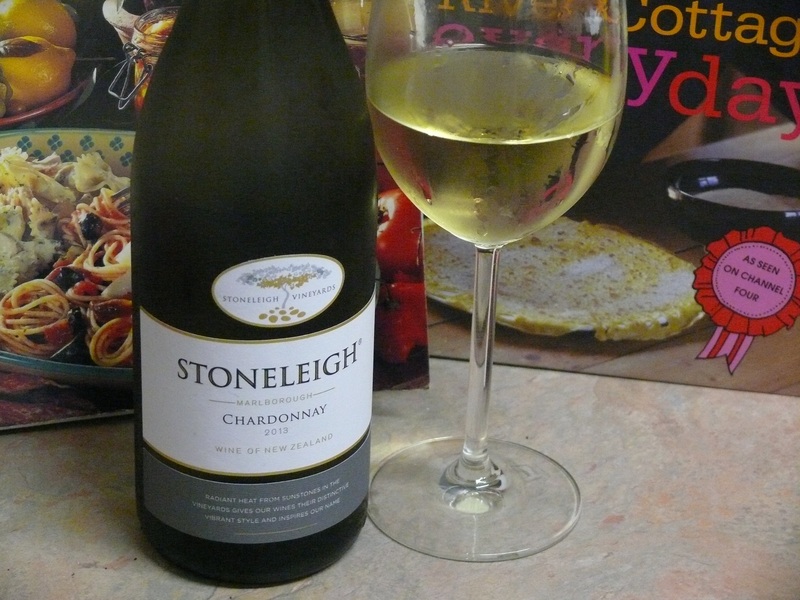 This entry was tagged $, 2013, 3, Chardonnay, Marlborough, Stoneleigh. Bookmark the permalink.